Detailing the physical features, habits, territorial reach and other identifying qualities of the Two-spotted Longhorn Bee. The black and yellow Two-spotted Longhorn Bee looks slightly different from others thanks to two pale spots near the tip of the abdomen. Male two-spotted Longhorn Bees have antennae that are about twice as long as usual. The genus has at least 100 different species and they vary in coloration. 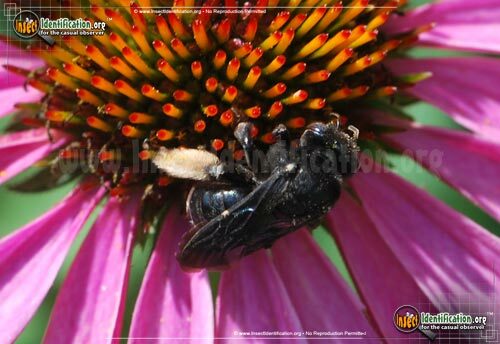 This particular species has two light spots near the end of its abdomen that stand out against its black body. The hind legs have long, yellow hairs on them, making them easier to tell apart from other medium-sized bees. The dense and expansive covering of hair may look like pollen dust at first glance. These long hairs help trap pollen grains from the flowers they visit. 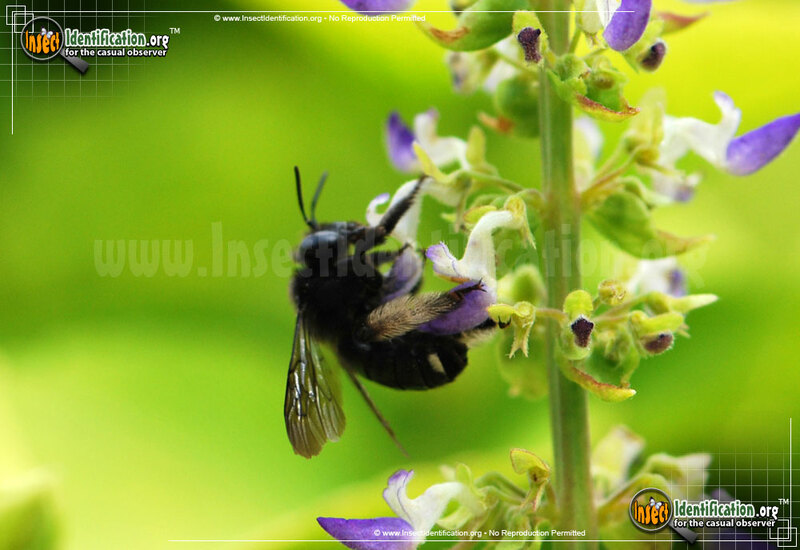 It is believed that females collect pollen grains for future consumption by newly hatched bee larvae. Longhorn Bees are quite common throughout North America. In the spring and early summer, they can be found collecting pollen from a variety of blooming flowers, especially in agricultural fields. Look for them on the blossoms of coneflowers, asters, mallows, and legumes. Despite their ubiquity, few species have been studied well, so little is known about them.